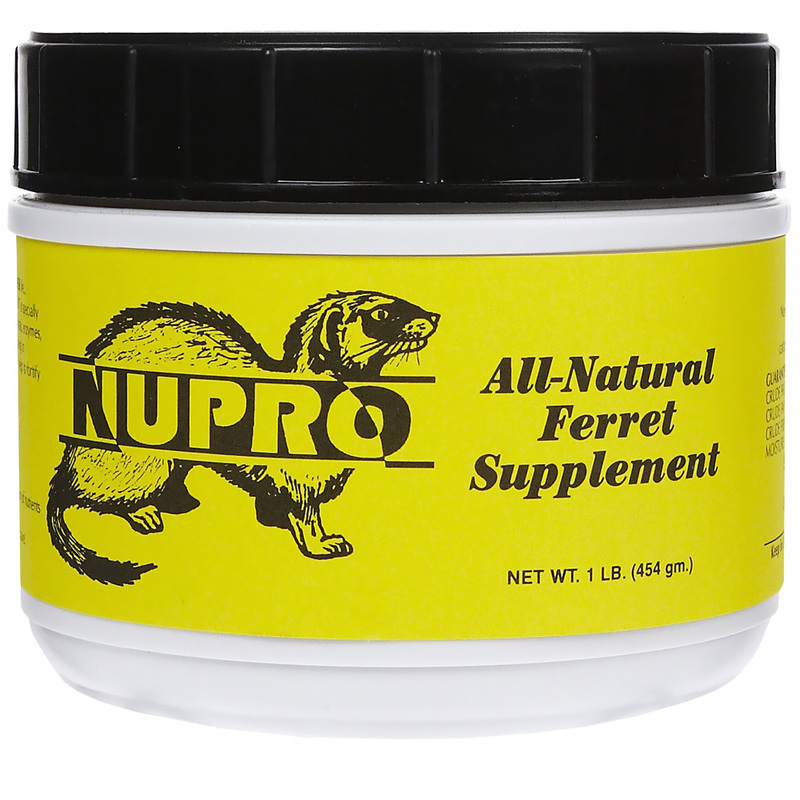 NUPRO ALL-NATURAL FERRET SUPPLEMENT is specially designed to provide balanced vitamins, minerals, enzymes, amino acids and fatty acids that may be lacking in commercially processed foods. 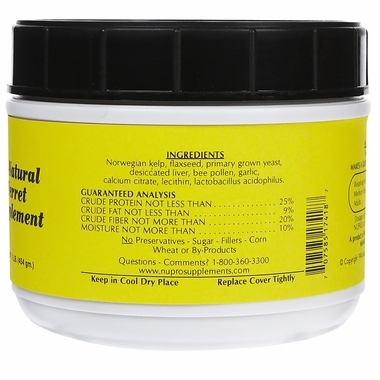 NUPRO will help to fortify their typical diet with fresh, raw ingredients. What do ferret Owners say about NUPRO? Ingredients Include: Norwegian kelp, flaxseed, primary grown yeast, desiccated liver, bee pollen, garlic concentrate, steamed bone meal, lecithin, lactobicillus acidophilus.